Mora Knives 162 Spoon knife. This is the 162, a carbon steel spoon knife with birch handle. 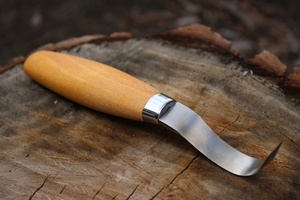 A Standard curl on this, for bowls and spoons, very useful when you want to gouge material to create a the bowl. 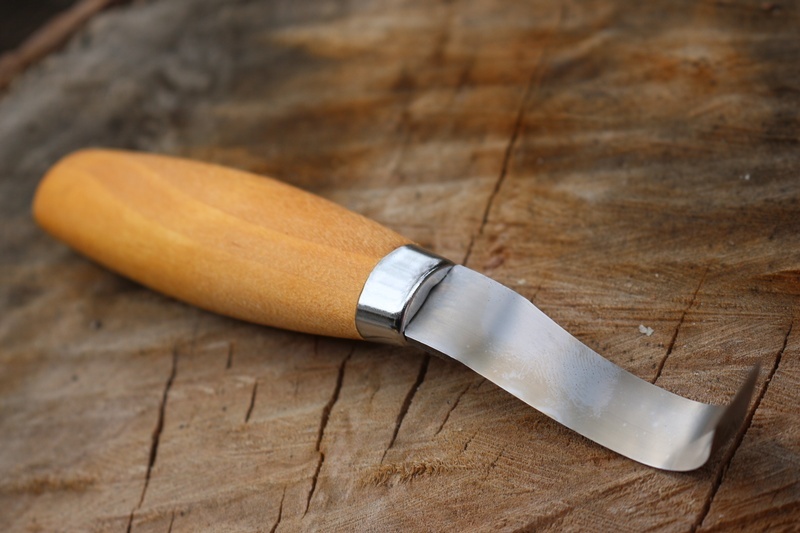 Well made woodwork/bushcraft tool. Blade is double-edged, Carbon steel blade to 58HRC,Blade length 61 mm. NO sheath. 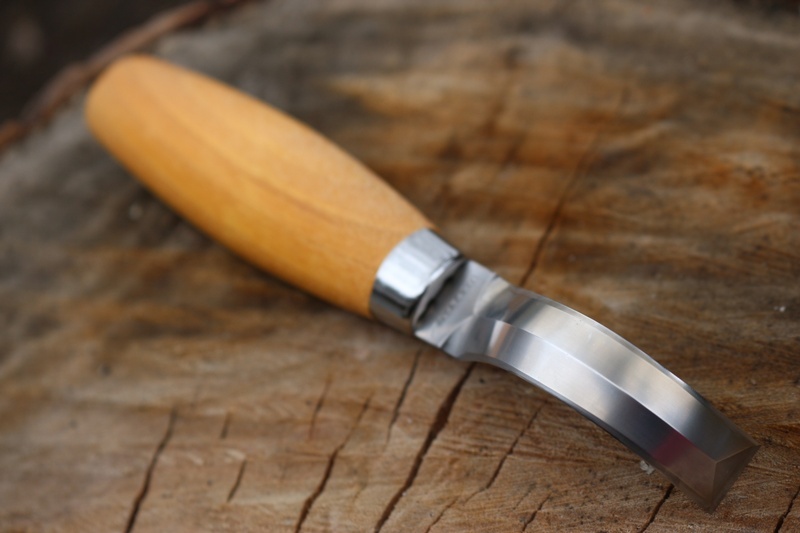 See Other Mora Carving Knives Here..
Purchase through PayPal by using the "Add To Cart" button above or use the form below to order the Mora Knives Spoon Knife 163 . Feel free to contact us if you have any questions about the Mora Knives Spoon Knife 163 .